One of the keys to improving as a coach is watching sessions of other coaches and picking up ways you can improve your own sessions. A good way to do this is to belong to your local coaches association – for me, based in the London area, there are a number of associations in and around the capital, the main one being the London Football Coaches Association which has been around since 1963 when it was formed by former England manager, Sir Walter Winterbottom. 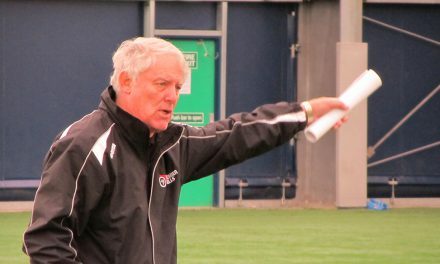 These days, the association is chaired by the experienced and highly respected John Cartwright, a passionate advocate of developing better technique in young players. Every month during the season, the LFCA put on a session, usually in Leyton, East London, and using some of the talented youngsters in Leyton Orient’s youth system. The first of this season’s sessions took place last week, and was put on by the current Barnet Head Coach, Martin Allen. 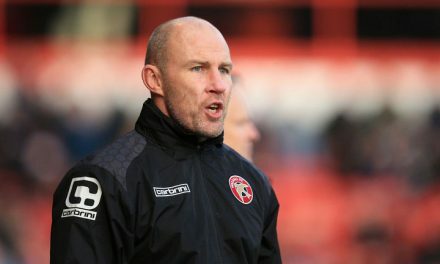 Nicknamed “Mad Dog” in his playing days, midfielder Allen represented Queens Park Rangers, West Ham United, Portsmouth and Southend United, and since retirement, has gone on to manage a host of clubs including Brentford, Leicester City, Notts County and Gillingham. 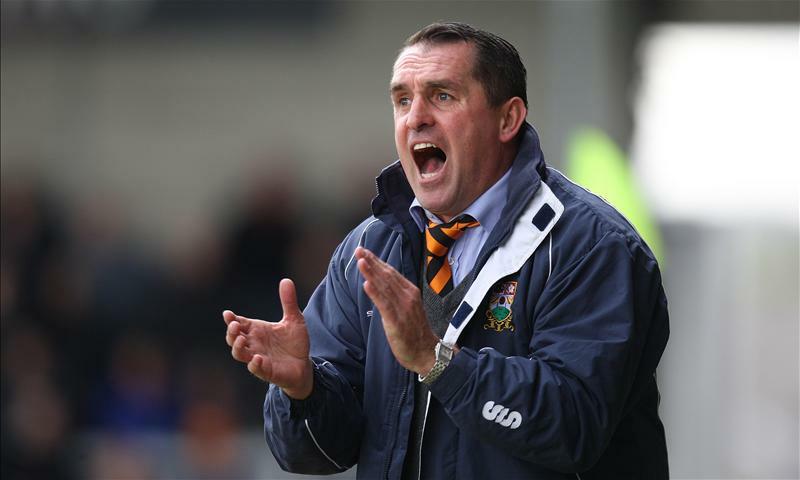 This is his second spell in charge of Barnet, who currently lead the conference by five points having lost only twice in fourteen games. Never the most shy and retiring of characters, Allen was in a confident and enthusiastic mood for the session, well attended by LCFA members and guests alike. Right from the start of the session, Allen was enthusiastic and energetic. He had literally met the the players a few moments before, with no idea of numbers (he had 18 players, no goalkeepers), or area he had to work (a quarter of a full sized pitch as other activities were taking place) and this was part of ‘Mad Dog’s introduction to the session – how do you deal with situations like this, think on your feet, get the players engaged, then give simple instructions and let them play – then stand, watch, observe. Initially, Allen worked with players without opposition – concentrating on things like positioning, both when in possession and out of possession, support and player rotation. Also ensuring players were in the right body position to receive the ball and play forward, and always encouraging to pass forward where possible and to penetrate. He was keen to make the point that many teams play the possession game without actually getting anywhere, and that the aim should always be to break down the opposition and score goals. What was interesting to me was Allen’s coaching style and reaction to situations, being loud in his praise and pointing out anything positive, and when needing to correct a fault, having a quiet word at the appropriate time. The players always reacted in a positive way as a result, and it’s not hard to understand why Martin Allen is seen as a manager to bring in to get instant positive results. 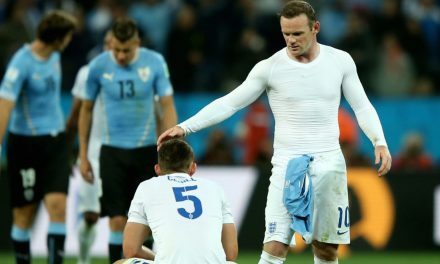 There was plenty of fun and enjoyment with the session, little jokes and daft punishments of two press ups for things like not celebrating a goal properly, or not “giving him skin” when rotating between being on the pitch and resting. Having mentioned the players resting, he emphasised the importance of keeping everybody involved and on the pitch where possible. Subscribe to our weekly newsletter and receive 10 essential tips for preparing for a successful course and assessment. After the hour long session, there was a Q & A. Martin Allen is very honest and blunt, and having experienced these sessions before, sometimes the questions from some of the coaches can be longer than the answers, and the Barnet manager laid down the rules from the start – one question each, and the chap that decided to make his question a bit too long was cut short pretty quick. Although this may have been intimidating for some, it meant we got plenty of discussion and points raised. 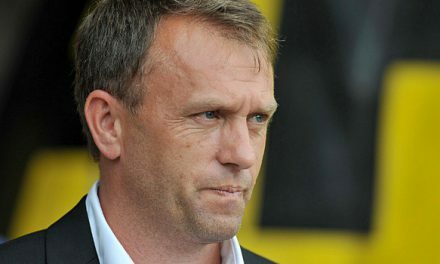 Allen was very honest in his answers, admitting where he has gone wrong in his coaching career (his time at Notts County was used as an example), how he works with his players (if you think he’s a manager that tears strips of his players when they don’t perform, think again), his thoughts on selection and rotation, and the importance of understanding people and using different psychologies for different types of people. One of the key things he revealed, is that he uses the same ethics whether he is coaching Winchester under 8s (which is where he started his coaching career), or Barnet’s first XI. It was interesting also to see how the other coaches observered – what they seemed to be interested in and what notes they took. Modern technology allows some of them to use phones and tablets to film some of the session, which is great for picking up pointers later on. I noticed many took notes, not on how Allen coached, but the session he actually put on (which of course was done with very little preparation). Myself – the biggest takeaway was the relationship with the players – he’d never met this group of teenagers before, but instantly had their confidence and their engagement in the session, and how he used positivity and praise where possible, and corrected quietly and discreetly. Were you one of the coaches at the session, what observations did you make? What other sessions from experienced coaches have you seen, and what observations/learning did you take from the session?